Sprays 32 feet wide in one pass with boomless nozzles. Sprays 25 feet wide in one pass. Fact: The Fire Ant Queen In A Colony Typically Lives Between 2 to 6 years. 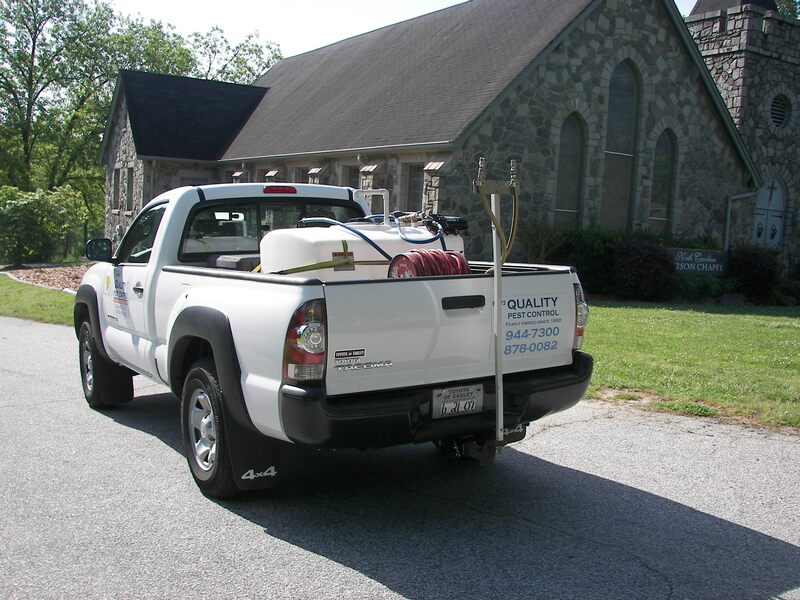 If your home or place of business has a fire ant infestation call Quality Pest Control today. Undisturbed mounds in pastures can reach 18 inches in height, but most mounds in turfgrass areas are usually just a few inches tall. When you shovel into the colony's mound of soil you see white objects. This is the brood - the eggs, larvae and pupae of developing ants. Workers have no wings and come in many different sizes. Fact: A Fire Ant Colony Can Contain Over 200,000 Ants. At Quality Pest Control we treat commercial and residential properties, contact us today. Red imported fire ant colonies consist of the brood and several types of adults: winged males, reproductives and worker ants. Winged males are distinguished from females by smaller heads and black bodies. (Fig. 1, Fig. 2) Worker ants are wingless, sterile females. They protect the queen by defending the nest from intruders, by feeding the queen only food that the workers have eaten first, and by moving the queen from danger. They also forage and care for the developing brood. The brood is made up of cream-colored eggs, larvae, and pupae of all the castes. The winged forms, or reproductives, live in the mound until their mating flight, which usually occurs in the afternoon soon after a rainy period. Mating flights are most common in spring and fall. Males die soon after mating, while the fertilized queen alights to find a suitable nesting site, sheds her wings, and begins digging a chamber in which to start a new colony. Sometimes, several queens can be found within a single nesting site. A newly mated queen lays about a dozen eggs. When they hatch 7 to 10 days later, the larvae are fed by the queen. Later on, a queen fed by worker ants can lay up to 800 eggs per day. Larvae develop 6 to 10 days and then pupate. Adults emerge in 9 to 15 days. The average colony contains 100,000 to 500,000 workers and up to several hundred winged forms and queens. Queen ants can live 7 years or more, while worker ants generally live about 5 weeks, although they can survive much longer. There are two kinds of red imported fire ants -- the single queen and multiple queen forms. Workers in single queen colonies are territorial. Workers from multiple queen colonies move freely from one mound to another, which has resulted in a dramatic increase in the number of mounds per acre. Areas infested with single queen colonies contain 40 to 150 mounds per acre (rarely more than 7 million ants per acre). In areas with multiple queen colonies, there may be 200 or more mounds and 40 million ants per acre. Wingless worker ants tend the larvae and queen (large wingless ant) The red imported fire ant builds mounds in almost any type of soil, but prefers open, sunny areas such as pastures, parks, lawns, meadows and cultivated fields. 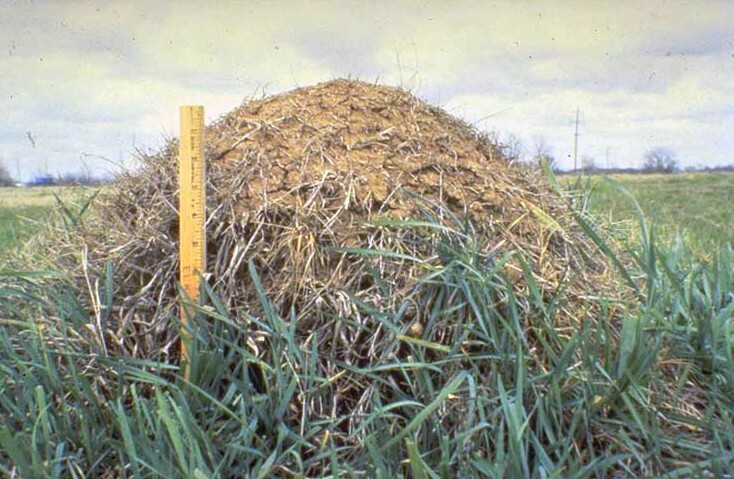 Mounds can reach 18 inches in height, depending on the type of soil. Often mounds are located in rotting logs and around stumps and trees. Colonies also can occur in or under buildings. Colonies frequently migrate from one site to another. The queen needs only half a dozen workers to start a new colony. They can develop a new mound several hundred feed away from their previous location almost overnight. Flooding causes colonies to leave their mounds and float until they can reach land to establish a new mound. Colonies also can migrate to indoor locations. Fire ants can be beneficial. They feed primarily on insects and arthropod pests, which can reduce the need for insecticides in commercial agriculture. 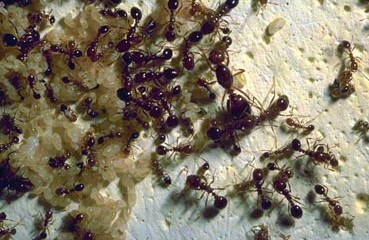 In urban areas fire ants feed on flea larvae, chinch bugs, cockroach eggs, ticks and other pests. 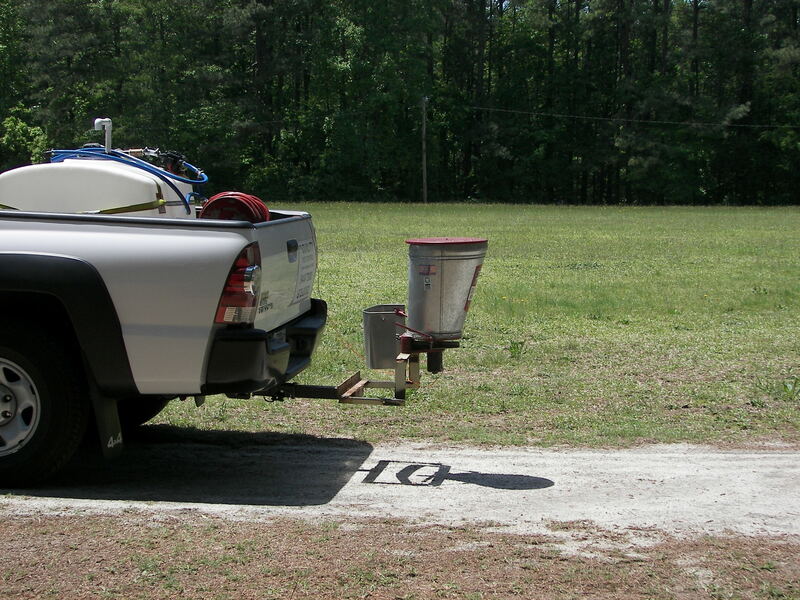 Interested In Our Fire Ant Control Services? Call Quality Pest Control For All Your Pest Control Needs.